There’s nothing like walking into a store and not only recognizing those who work there, but also being recognized yourself. A warm smile, a familiar greeting and a heartfelt farewell as you’re handed your change—these are just some of the benefits of supporting local businesses. Downtown Sarasota is home to numerous local businesses, from restaurants and boutiques, to art galleries and markets. Nestled in the center of this downtown is the well-maintained Five Points Park, and this February, the Sarasota Downtown Merchants Association and the Sarasota Farmers Market are hosting yet another opportunity to support Downtown Sarasota in the park: The Third Annual Le Marché Bohémien Outdoor Market and Art Show! On Saturday, February 25th, from 10:00 AM to 5:00 PM, the park will be transformed into an open-air vintage market. Beneath the lush trees, you will find vendors lined along the sidewalks, selling one-of-a-kind treasures. Many items have been handmade or passed down through the decades. So whether you’re looking for a unique gift or a signature piece for your home or wardrobe, you’re bound to encounter what you need this Saturday! Even more, fundraising from last year’s Le Marché Bohémien helped the Sarasota Downtown Merchants Association fund the Christmas decorations and lights at the Five Points Park. So you’re not only benefiting your personal style but the city as a whole! Beyond the antiques and vintage items up for sale, you’ll also find a plethora of entertainment at your fingertips. Live music performances will fill the air with vibrant sound. Food vendors will also be selling delicious treats, which makes this an ideal spot for a weekend lunch. And with free admittance for locals and visitors alike, you can easily browse before making any purchases. What better way to spend a Saturday afternoon? Come by and bask in the European ambience! 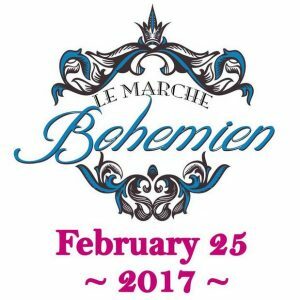 Le Marché Bohémien will be held at the Selby Five Points Park, which is located at 1 Central Avenue, Sarasota, Florida 34236. For more information on the event, check out their Facebook page at https://www.facebook.com/LeMarcheBohemien/ or feel free to contact by phone at 727-542-3000.